Description With RFFlow you can add mathematical equations to your flow charts and diagrams. These equations can be associated with a shape, placed on top of a shape, or be a stand-alone equation. 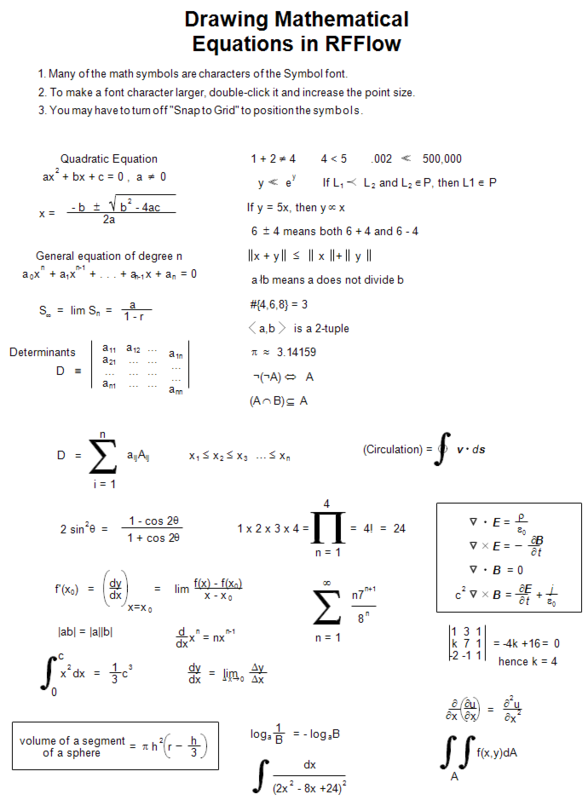 Many of the math symbols are included in the Symbol font. 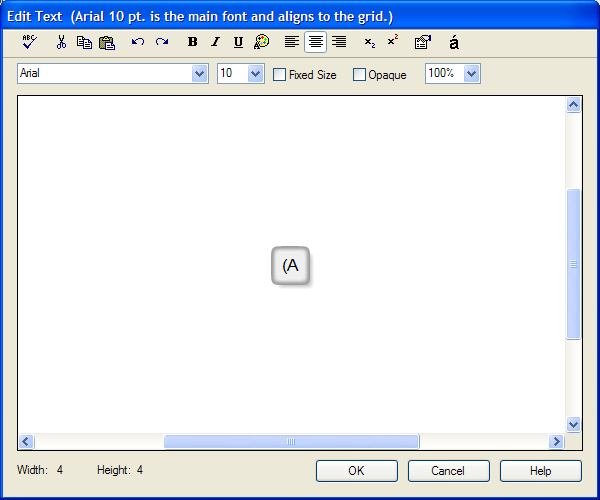 To draw an equation, first click on a shape or on the word "text" in a stencil. The Edit Text dialog box will appear as shown below. This is just the normal way you enter text in RFFlow. We will compose an expression that shows that the intersection of set A and set B is a subset of set A. First type "(A " using the Arial font. The intersection symbol is not part of the Arial font, but it is part of the Symbol font. Click the drop-down box for the font name and select the Symbol font. Then click the special character button . 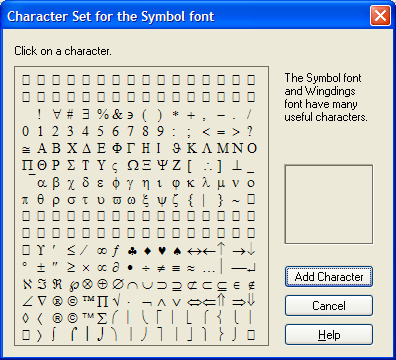 The character set for the Symbol font will be displayed as shown below. The Edit Text dialog box also allows you to select a character and make it a subscript or superscript by clicking the appropriate button. Once RFFlow is installed, you can open the above chart in RFFlow by clicking on math-symbols.flo. From there you can zoom in, edit, and print this sample chart. It is often easier to modify an existing chart than to draw it from scratch. To draw this flow chart without downloading it, run RFFlow, click on the More Shapes button , scroll and click the Math Symbols stencil and click the Add Stencil button.